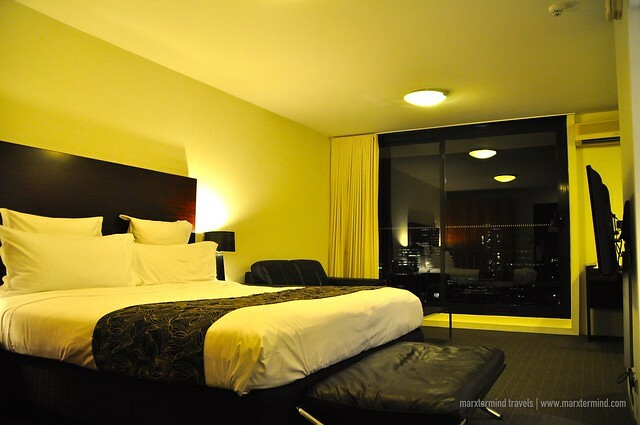 After staying for three days in the central district of Sydney, I transferred hotel that is located in a suburb area. Cambridge Hotel it is. It served as my home for my few remaining days in the city. 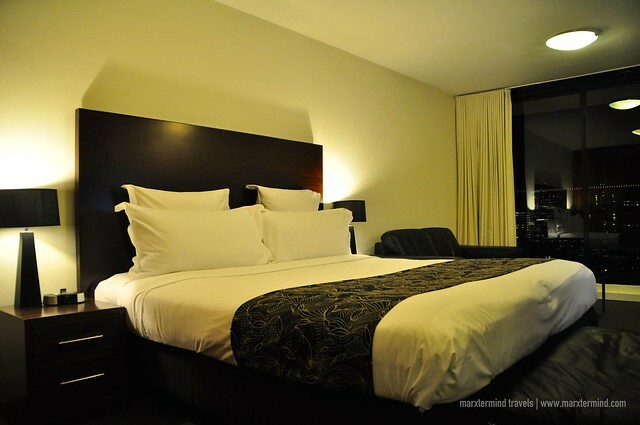 The hotel is well located in Surry Hills, a part of the city mix with residential and commercial area. 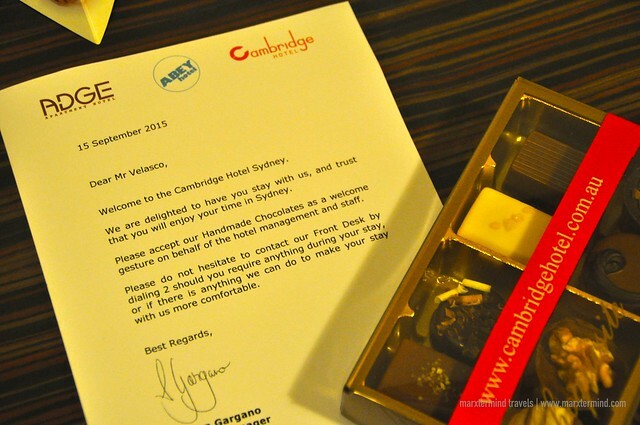 Cambridge Hotel is a fabulous accommodation for people looking for a quiet space while in the city. It is out of the busy spots of Sydney but yet approximate to everything that tourists needed basically while on vacation. Train station and bus terminals are nearby, restaurants and shopping centers are just few walks away, and famous tourist spots are easily accessible. 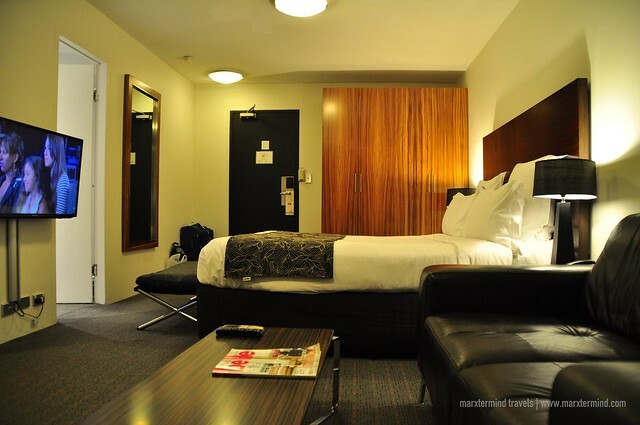 I had an early tour to Blue Mountains that day when I arrived at the hotel to check in. Since I was way too early to have a room when I came, I asked the front desk if I could just leave my luggage and have those taken to my room when it is ready, which they obliged. The front desk asked for my booking – name and passport to process my reservation. Checking in was smooth. When it was all confirmed, I left my baggage and waited for my tour bus to arrive. 12 hours after, I was finally able to return to the hotel. The front desk gave me my keycard. My room was on a higher floor, which I actually requested so I can have a splendid view of the city. 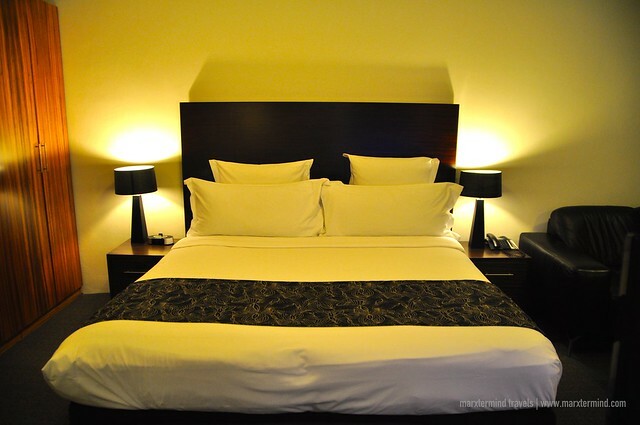 Cambridge Hotel offers large smart rooms and suites that feature great comfort and modern amenities. Rooms are affordably priced. You may check the room rates here. The hotel currently has 5 types of room, which are Standard Room, Premium Room, One Bedroom Deluxe, Deluxe Balcony Room and Deluxe Balcony Spa. Mine was a Deluxe Balcony Room. The room was air-conditioned. It was spacious which I loved because I need a big space to pack my things again. I am this kind of traveler that would like my things spread around before I pack them into my bag. I love the room. It has a king size bed that was too big for a slim Asian guy like me. The bed was so cozy. If I could only stay there and snuggle all night and day that would really be a perfect staycation but… I have tours to attend. The room is equipped with cable TV, tea/coffee making facilities, over-sized mirrors, and en-suite bathrooms. The bathroom was good-sized and clean and has nice bathroom amenities. 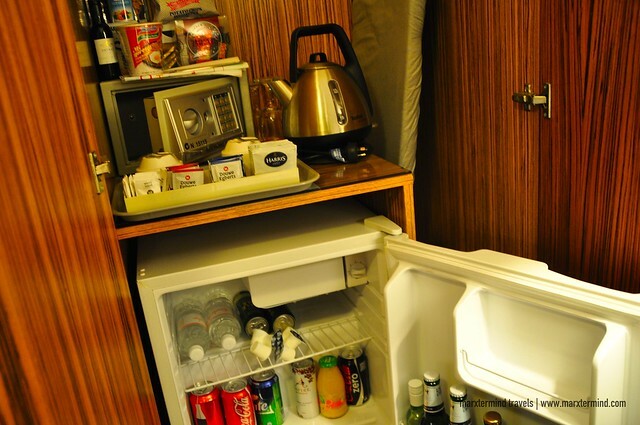 The room also has a minibar that remained untouched. It also has a working desk and a sofa. I was surprised to see a box of chocolate with a welcome letter. 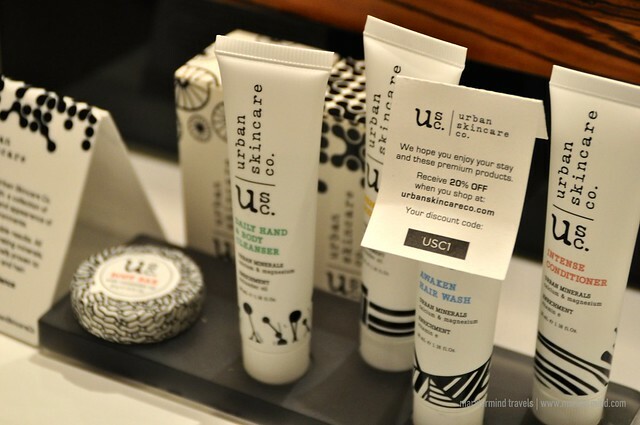 It was a compliment from the hotel, which I felt a very sweet gesture to welcome me at their hotel. A great part of my room that I also liked about was the balcony. My wish was granted to be on a higher floor with a stunning view. 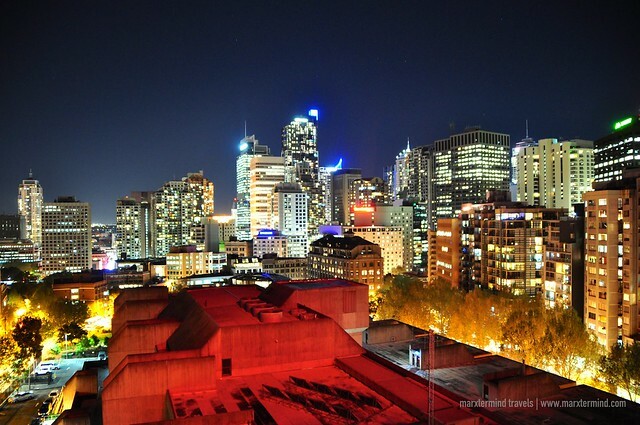 I had a great view of the city, which I got really fascinated with. The hotel has array of friendly facilities that guests could use. It has a business center, which you can use a computer for a fee if you want to go online or to work on something. It also has Wi-Fi, which guests can connect to. The hotel also has a swimming pool but I wasn’t able to see it because I was out all-day joining the tour. It was sad that I’ve learned about it late already. The hotel also has an in-house restaurant – a trendy Italian restaurant and wine bar. Breakfast buffet is also available at the hotel for an additional fee. Room service is also available at Cambridge Hotel 24/7. Covered parking is also available for a charge. The hotel also has function rooms available for private events, business meetings and conferences. I love how the hotel took care of me, from my reservation, to my special requests, to checking in, to luggage storage, to room assignment, to my stay and to checking out. The hotel provided me a convenient hotel vacation while I was spending my few remaining days in the city. Cambridge Hotel truly showed me what is comfort in staying in a suburb area is. It was nothing but a wonderful holiday stay.